Bonjour lovely people and I can actually say bonjour and get away with it today, because today’s post comes all the way from France, from a beautiful and extremely talented makeup artist, giving us some great tips for bridal makeup!! Over to you Amy…April marks the beginning of the traditional wedding season, so its already begun, but of course there are many brides still looking forward to their big day. 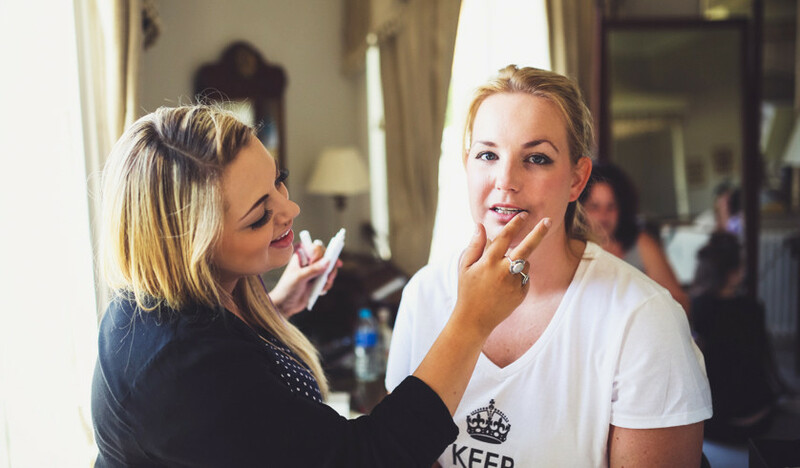 A woman’s own wedding day is agreeably the most important day of her life, and most people now treat themselves to the luxury of hiring a makeup artist. First port of call for most ‘brides to be’ is the dress shop (that is if you’ve not already done some pretending before now!). 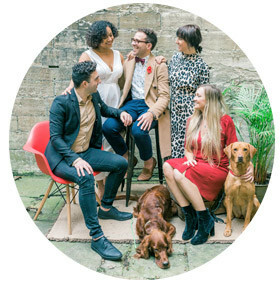 You spend every spare minute pouring over bridal magazines and searching the internet for colour charts and those many little things that will make your wedding individual. However, is the time you spend focusing on table arrangements proportional to the time you spend on yourself? You’ve invested money purchasing the perfect dress, but as well as looking like a queen you want to feel like one. So hire a makeup artist and pamper yourself! 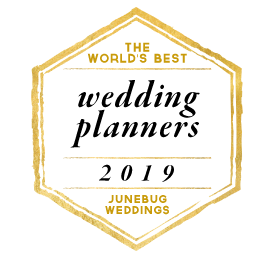 Of course the perfect look takes preparation, and I would advise every ‘bride to be’ to not only think of booking their makeup artist in advance, but to also keep to a good skin routine in the weeks (and months) leading up to your big day. So to get all you blushing brides on your merry way I’ve started a check list for you. First things first! Booking a makeup artist and arranging a trial. 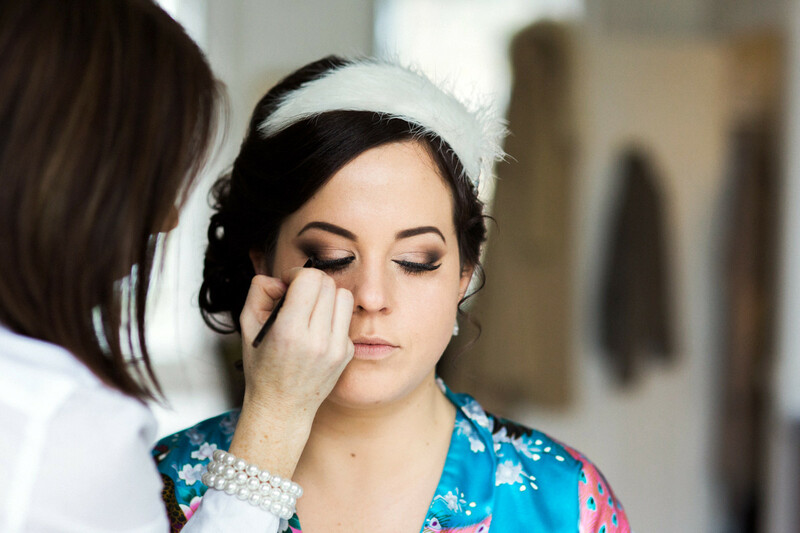 A trial is so important – you don’t want to be surprised on your wedding day when your make up artist turns up without waterproof mascara, or piles on the foundation leaving you resembling an orange! If you are organized you can avoid this horrible and very unnecessary stress. Believe me it does happen! Keep in mind the style of wedding you are having, but steer away from using the same colour scheme on your face. You want to recognize yourself, to be comfortable, to be the most perfect version of yourself. Your makeup should bring out your best features. Remember that you want to look at your wedding photos years from now and appear timeless. So go for a simple classic, pretty look rather than following any major trends such as blue eye shadow. Though you may love this look now, you might not always. Your makeup should be bomb proof. It needs to survive all day and well into the evening but also lots of hugging, kissing, laughing and crying. However, no matter what we makeup artists say, don’t be pushed into a look that’s not you. In the end its your day! A few points to remember when heading off to your trial. Wear a white top or t-shirt. You will want to make sure that your make up isn’t too pale, and doesn’t make you look washed out against the white (or ivory, or other colour) of your wedding dress. Check your make up in the sun light- make up looks different in artificial light. Take your camera along with you, and use the flash. Not only will the photos help as a reference, but foundations, powders and concealers reflect light differently. It’s a common mistake to over use concealer under the eyes, which will make them too white. Ask your makeup artist about the colours and products she is using. Although some makeup artists will donate the lipstick to ensure you can retouch your lips throughout the day, they don’t have to. In this case you want to have time to buy your own for your clutch (or head bridesmaid’s clutch) so you can top up your look until you’ve probably drunken so much that you no longer care! The second step in preparation is keeping to a good daily skin care routine. Not everyone’s will be the same as we all have different skin types. Some have tendencies towards oily skin, where as others have dry, sensitive skin. Start by using a gentle cleanser. The gentler the better. I use cotton and cleanse twice to make sure I’ve really removed every trace of make up before then cleaning the skin. There are some great products out there including cleansing balms but please avoid face wipes. I know they’re easy to use but they aren’t kind to the skin. Most people think the second step is toner, but I never use it and I don’t think it is generally necessary. Exfoliating is also important, but don’t over use, once or twice a week is fine. And if you are cleansing with a cloth you are already doing a tiny bit of exfoliating. However, don’t use gritty face washes they really are too harsh. The next step after cleaning is your moisturiser and serums. Moisturising is really important, you don’t want dry skin on your wedding day. Now as someone who suffers from breakouts and mild acne I would advise any ‘to be bride’ with these tendencies to see a doctor and not just carry on using high street washes and treatments. Hoping alone that on the day of your wedding you wont wake up and with a spot in the wrong place, is not enough! Acne can be treated (more severe cases with antibiotics) or at least made better, in most cases. But think ahead and book an appointment with your doctor months before your special day. However, stress also causes breakouts and impurities. Finally a couple of miscellaneous tips to finish this section. Swap to a clean pillow case every night, drink plenty of water and eat lots of fruit and veg. Remember your skin reflects what you eat! Keep an eye on my blog for the follow up to this article – ‘going it alone’ (for all those doing their own wedding make up). See you soon!